WASHINGTON, DC -- Congress has passed a defense policy bill that authorizes up to $50 million in lethal military aid for Ukraine and mandates a White House response if Russia is deemed to be violating a key arms control treaty. 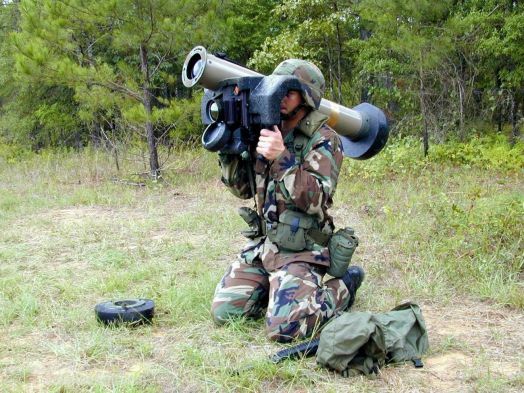 The Javelin shoulder-mounted anti-tank missile system is a weapon Ukraine has been begging for. The White House said hours after the $607 billion bill was passed by the Senate on November 10 that President Barack Obama was likely to sign the legislation. The House of Representatives passed a similar version of the bill last week. Obama vetoed the previous bill over provisions that forbade the White House from moving the remaining prisoners at the Guantanamo Bay military base in Cuba to U.S. prisons. But he does not appear to be threatening a veto on the latest bill over the Guantanamo prisoner issue. Among other things, the package appropriates $300 million to help Ukraine in its fight against Russian-backed separatists. That includes $50 million for lethal weaponry such as antiarmor weapon systems, mortars, grenade launchers, small arms, and ammunition. The Obama administration has previously resisted calls to provide Ukraine with lethal aid, fearing that could provoke Russia. The legislation also sets a deadline for the administration to tell Congress whether Russia continues to be in violation of the Intermediate-Range Nuclear Forces treaty, which eliminated an entire class of nuclear-capable missiles from Europe in the late 1980s. The State Department’s most recent arms control report released in June said Russia was testing a missile system that violated the treaty. Moscow, for its part, has denied the allegations and accused the United States of deploying banned weapons systems. The legislation also includes $715 million for Iraqi forces battling Islamic state militants.